Reprinted from Collections Magazine, Dec 19 2014 insert to Toronto Globe and Mail – As a socially conscious brand of popular folk music explode d in the 1960s, with icons like Bob Dylan and Joan Baez at the helm, music scholars were left scrambling for a term to best capture the many influences steering the popular artists of the day. The phrase “roots music” was coined and is now used to encompass every genre from folk, blues, gospel, and traditional country, amongst others. Though these styles have long since disappeared from today’s top 40 stations, and are more likely to be unearthed in an underground music scene, roots music remains alive and well in Toronto. One group, in particular, is working hard to both preserve and grow this musical tradition with an annual event, geared to the whole family, in the heart of Toronto’s Danforth neighbourhood. 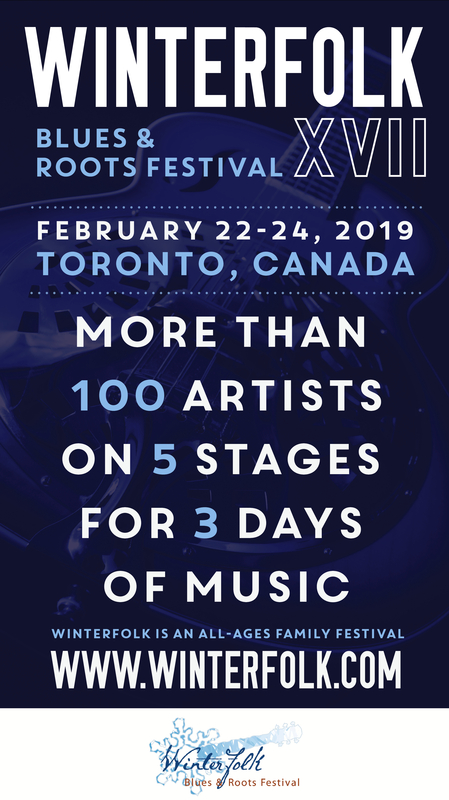 The Winterfolk Blues and Roots Music Festival, presented by the non-profit group The Association of Artists for a Better World, is scheduled to run from February 13 to 15, and is a combination of paid and free concerts running at several venues on the Danforth. It’s an all-ages, mid-winter, weatherproof event, where audiences can expect to discover the best of urban, blues, rock, jazz, country, folk and roots music, emulating a multi-stage rural summer festival. The festival also incorporates special tribute events, an awards ceremony, community stages and various themed musical workshops. Today, the Winterfolk festival fills a prominent gap in Ontario’s music festival calendar. Those who frequent such events will note that most blues and roots festivals are summer programs, held largely outdoors. In Canada, that means there’s a solid six or seven month void in the festival schedule. 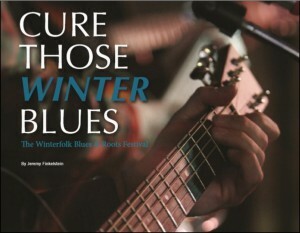 With its annual February date, Winterfolk offers blues and roots music at a time when there’s not that much around. Gladstone also adds that the February program works well for the artists, many of whom are on the road during the year, but back in Toronto for the winter season. The Danforth was chosen to host the event because of its central location, convenient access to the subway, and diverse array of venues. The bars hosting the performances — there are five stages playing simultaneously — have been delighted to participate, with many saying it’s their best weekend of the year, even when taking into account the strip’s enormous popularity in the summer months. Of course, the real beneficiaries are the attendees. “It’s a family event, but we have something for everybody. There are all styles of music… this year we’re introducing ethnic music. We have workshops. We have guitar sessions. Since we have five stages running at once, we typically see people walking up and down the Danforth with a program in hand, deciding what to see next,” beams Gladstone. Music lovers new to the festival and wondering how best to get started will find it easy to educate themselves in advance. The festival website is brimming with information including schedules, a complete artist lineup, performer bios and samples of their music. A quick review of the sizeable program will reveal many familiar faces, and the talent is generally top quality. 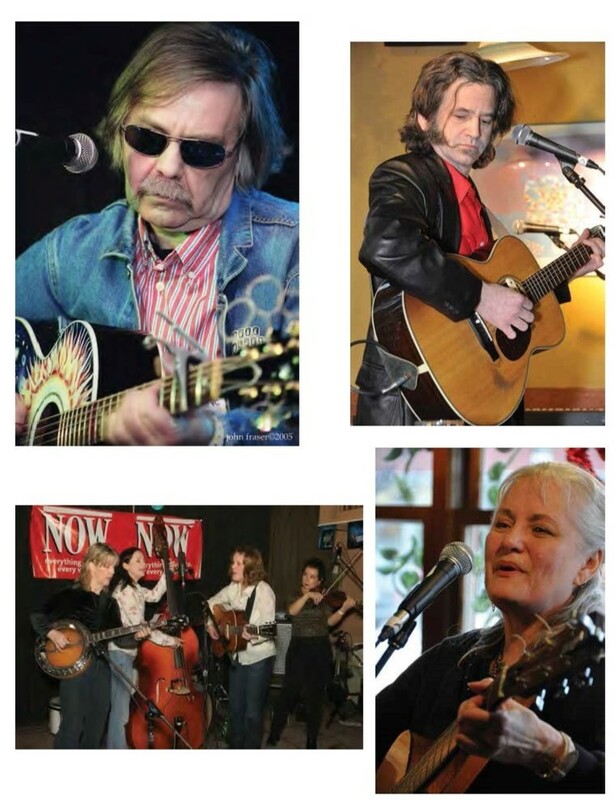 Past performers include the Juno-winning bluesman Jack De Keyzer, Josh White Jr., Michael Picket, Mose Scarlet, The Good Lovelies, and guitar playing radio personality Danny Marks, who is a regular at Winterfolk, performing annually. In addition, with the festival’s commitment to showcasing emerging talent, there are bound to be a few surprises as new careers are helped to get off the ground. Notably, in its first year, Winterfolk hosted a-then-17-year-old Serena Ryder. “She actually took the bus in from Peterborough with her manager. She was following a blues band, and I was sitting with her manager and said ‘she sure has a tough act to follow,’ to which she replied, ‘just watch her go.’ Within five minutes, Serena had the audience mesmerized. I think she sold 35 CDs off the stage following her first show, and that was a record… it probably still is,” laughs Gladstone. If you’re a music lover, looking for a conveniently located concert series to help kick those winter blues, the Winterfolk Blues and Roots Festival is certain to be your ticket. The entry to most performances is free, funded in large part by grants from the City of Toronto and Heritage Canada, as well as fundraisers held throughout the year, but there are many ways to help support the performing artists. 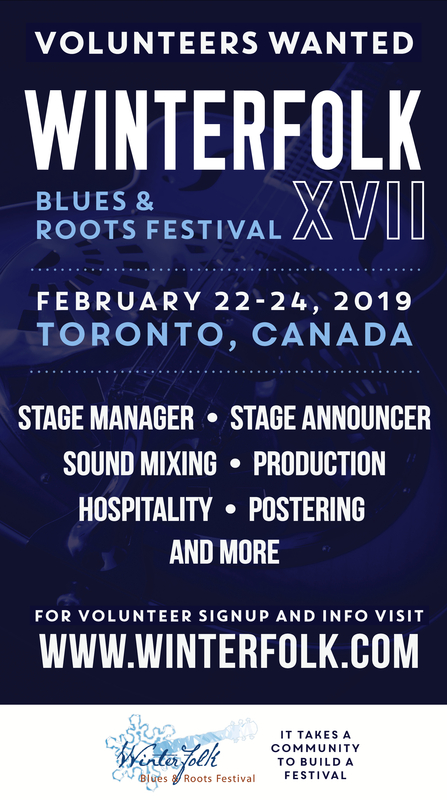 Badges are sold at venue doors saying “I Support Roots Music in Toronto,” there will be CDs available for purchase, and volunteers accept donations at the door. “Between all of those, we are able to advertise, pay our artists and put money back into the local community,” says Gladstone. Pretty impressive for an artist who 13 years ago was just looking for a gig.